Ingredients: If you liked the characters of The Bourne Identity, the gritty action of Casino Royale, and the special effects of Mission: Impossible - Ghost Protocol, then you will like this movie. I got to tell you folks, after the total let down of the Total Recall remake, Bourne Legacy has given me hope that the summer season can end as strong as it started. Chemically enhanced agent, Aaron Cross (as played by Jeremy Renner), is part of a secret government program. His training is interrupted when Jason Bourne’s activities threaten to out the program. A CIA program headed by Col. Eric Byer (Edward Norton) plans to wipe out all trace of the program meaning Aaron is targeted to be eliminated with extreme prejudice. What’s worse, Aaron is running out of the experimental drug that is keeping him physically fit and mentally healthy. He manages to rescue Dr. Marta Shearing (Rachel Weisz) from CIA assassination in hopes that she can find a way of saving him from the oncoming debilitating mental regression. The race is on as the two try to stay ahead of advanced United States surveillance and highly trained CIA gunmen. This is Bourne Identity done right. Unlike Jason Bourne, Aaron Cross actually has some personality to him and isn’t afraid to inject a little levity into a situation. The cinematography is slowed down and the action easier to follow in comparison with the previous Bourne trilogy, but still fast paced enough to make the cuts to people looking over computer screens feel intense and dramatic. It’s a great mixture of a smart story, a likable action hero, and an interesting conspiracy theory. 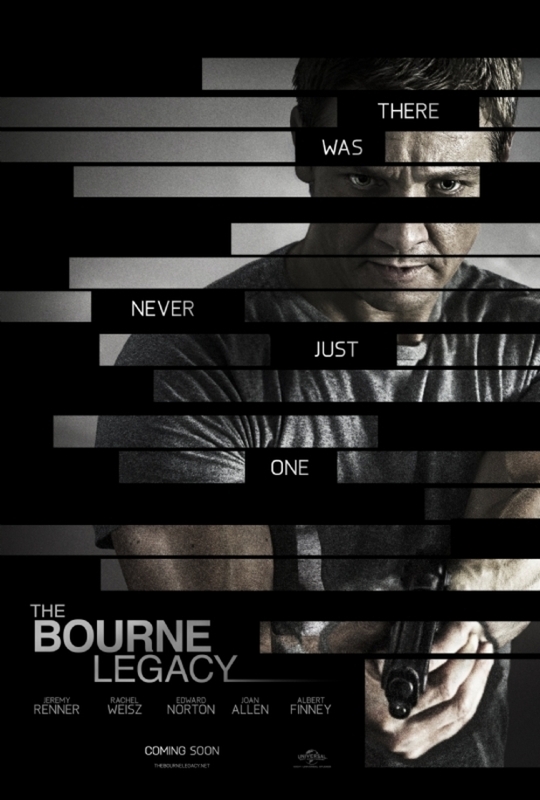 But Bourne Legacy isn’t really a sequel or prequel to the Bourne trilogy but more of a parallel. Bourne Legacy takes place along side all the Bourne movies revealing that the government conspiracy The Bourne Identity introduced goes much deeper then was first thought. Unfortunately, after Aaron’s plot resolves, the movie really didn’t know what to do with him. The last 30 minutes turns into an extended car chase which drags on a little long but, hey, it was still pretty awesome! 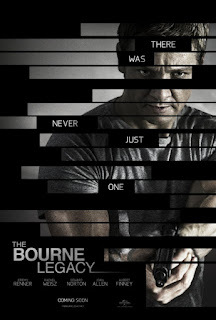 The Bourne Legacy was a great topper on the Bourne franchise and a strong finish. While Mission: Impossible - Ghost Protocol and The Avengers introduced Jeremy Renner as a rising action star, the Bourne Legacy cements it. Renner proves he has the action chops to do incredible stunts and the charisma to carry a movie. The film also has really good pacing. The action scenes are spaced far apart to give them depth and meaning while there’s plenty of exposition and character development to keep the audience invested. I was a little disappointed that Samuel L. Jackson didn’t show up as Nick Fury in the end and offer Aaron a spot on The Avengers as Hawk Eye. That would’ve been so far out of nowhere but fit in perfectly! Oh well, even if it is not “officially” a Hawk Eye origin story, it’s still badass all over. I highly endorse it. I really dig Jeremy Renner. I'm glad he's moving on up.